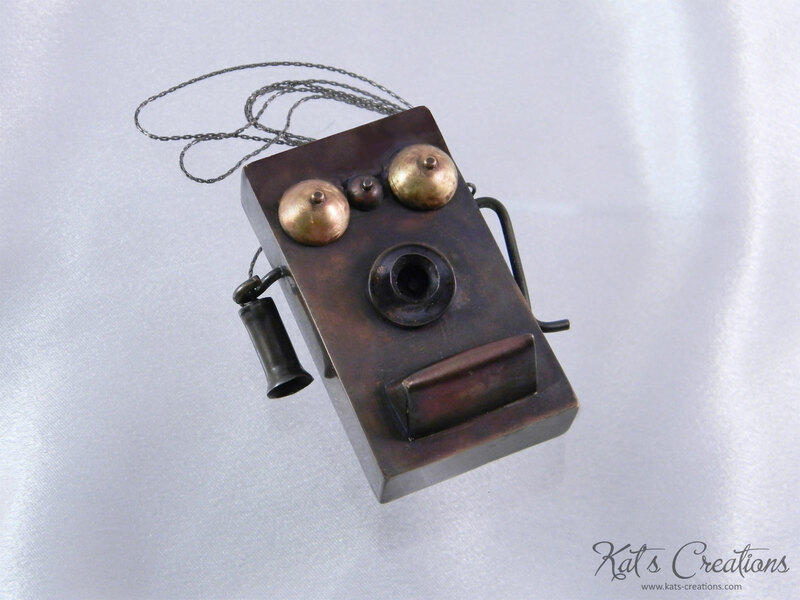 Back in the day… I was feeling a little nostalgic when I designed this necklace. A constructed box of soldered copper sheets, these little phone pendant has two bronze “bells” and a bunch of little copper accents, including mouthpiece and crank-handle. The best part is the clasp: the necklace is closed by hanging the earpiece on its hook!